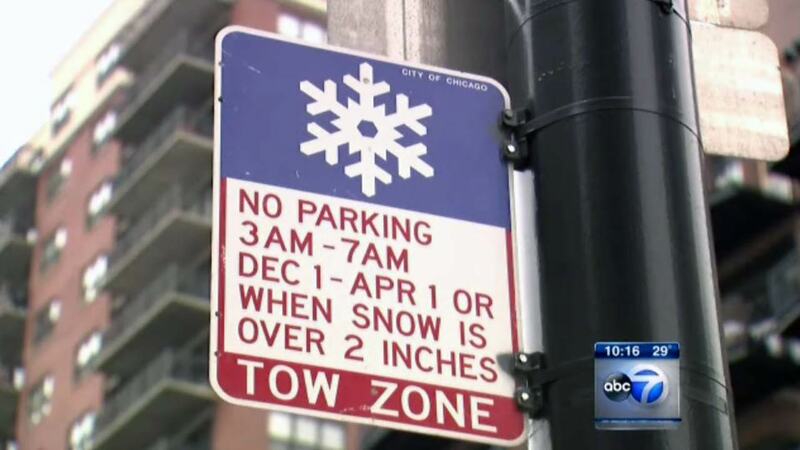 CHICAGO (WLS) -- Chicago's annual winter overnight parking ban takes effect at 3 a.m. Tuesday. The ban will be in place from 3-7 a.m. every day from Dec. 1, 2015 to April 1, 2015, regardless of snow. The city os urging motorists to pay attention to all posted street signs to avoid being towed. The city puts enforces the parking ban every year so that crews can plow and salt roads when it snows. Find out what streets are impacted by the ban: http://www.cityofchicago.org/.